Additional parties have joined the NTC in applying to intervene in a T’aaq-wiihak fisheries court appeal with far-reaching implications for Indigenous commercial fishing rights. An appeal of the latest court ruling is set for early next year amid widespread concern that B.C. Supreme Court Justice Mary Humphries erred with her judgment in the Ahousaht et al vs. Canada justification case, rendered April 19. NTC nations will provide their views on the court’s recharacterization of the T’aaq-wiihak right to a commercial fishery. 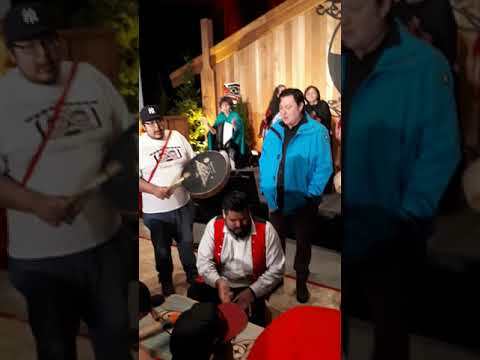 “There were very specific items in the justification decision that the nations felt they couldn’t let stand,” said Saul Milne, T’aaq-wiihak fisheries manager. By Oct. 12, Council of the Haida Nation, Quebec’s Mi’gmaq of Listuguj, the Assembly of First Nations, the Te’mexw Treaty Association and a coalition of four other organizations had filed applications as intervenors in the case. The coalition includes the B.C. Assembly of First Nations, the First Nations Fisheries Council, the Union of B.C. Indian Chiefs and the First Nations Summit. T’aaq-wiihak is comprised of Ahousaht, Ehattesaht/Chinehkint, Hesquiaht, Mowachaht/Muchalaht and Tla-o-qui-aht. They had hoped that the latest court ruling would properly define their fishing rights after 15 years of legal see-sawing. In her 400-page decision, Justice Humphries ruled that Canada failed to justify its past and continuing infringement of their Indigenous right to fish and sell those fish from their territories, yet she went far beyond that - too far many believe. “The Justice misconstrued the fisheries as being small scale, ‘artisanal,’ which didn’t reflect the prior decision that held the fisheries are central to community life among the five First Nations,” Milne said. This is viewed as an infringement on fishing rights previously established by court decisions including Sparrow (1990) and Ahousaht et al. (2009). In the case of Ronald Sparrow, a Musqueam fisherman accused of violating his food-fishing permit, the Supreme Court of Canada ruled that the First Nation’s right to fish had not been extinguished despite a century of Canadian government regulation and restriction. Those rights have been upheld ever since. Criteria associated with the Sparrow Test are used for determining whether government infringement on Indigenous rights is justifiable. The five nations contend that Justice Humphries did not do the test properly. Two decades after Sparrow, B.C. Supreme Court Justice Nicole Garson ruled that Nuu-chah-nulth First Nations have an Indigenous right to harvest and sell all species of fish found within their territories. Humphries said that right was not clearly defined and that constraints are justified in some cases. She conceded that the case might therefore wind up in appeal court. Essentially, the court has ruled that in recognizing Indigenous fishing rights, the Canadian government must take account of the commercial and sport fisheries. The five Nuu-chah-nulth nations are not opposed to talking with other fishery interests but felt the court ruling essentially turns back the clock, Milne said. A key counterpoint will challenge “frozen rights,” a notion conveyed in the Humphries ruling that T’aaq-wiihak fishing rights are static and don’t evolve over time. Lawyers acting on behalf of T’aaq-wiihak nations spent considerable time finding intervenors for the appeal. First Nations in B.C. and across Canada responded. In this latest legal twist, the court seems inconsistent with political pledges and Canada’s commitment to honour the UN Declaration on the Rights of Indigenous Peoples, he said. “It’s hard to understand what the government means when they’re talking about reconciliation and yet they have us embroiled in this court case,” Milne said. B.C. Seafood Alliance, Canadian Sablefish Association and Pacific Prawn Fishermen’s Association have filed for intervenor status on behalf of the non-Aboriginal commercial sector. The case will be heard Feb. 11-15, 2019 in B.C. Court of Appeal.